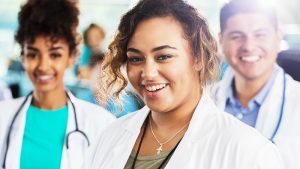 Amid the fanfare of balloons, school mascots, cheers and tears, thousands of medical school students and graduates experienced life-changing news on Match Day 2018.Social media was flooded with #MatchDay2018 tweets, videos and memes, as medical schools across the country held ceremonies and special events to reveal residency program matches, based on medical students’ top specialty program choices. Clearly, it matters a great deal to new doctors to be accepted into their program of choice on Match Day. Here are five more reasons why Match Day matters to the future of medicine in the United States. The record number of available first-year positions in 2018 rose to 30,232, exceeding 2017 by 1,383 positions. That is encouraging news, but it’s tempered by this harsh reality: demand for physicians will continue to outstrip supply. Healthcare organizations will continue to address shortages of up to 104,900 physicians by 2030 due to the aging population which drives both higher medical utilization and the accelerating rates of retirement among “baby boom” doctors. The shortage of Primary Care Physicians (PCPs) is one of the top three worries of hospital CEOs. As the quarterbacks of value-based care, PCPs are in high demand almost everywhere, and they are desperately needed in rural communities and other underserved areas. Even with 3,510 family medicine residency positions filled on Match Day 2018, the challenge of recruiting into rural, remote and low-income communities will grow. To attract – and keep – doctors in underserved areas, they will need better compensation, higher regard for their expertise and more effective practice resources to support work/life balance. Couples continued to enjoy great success in matching to programs together. The 95.8 percent match rate for couples into residencies was highest on record with the NRMP. A record-high of 1,165 couples participated in the 2018 Match, 3.6 percent more than last year. Life partners provide tremendous mutual support as they pursue careers in medicine together. But, they are also doubling the burden of educational debt estimated at nearly $200,000 per person, onto one household. Loan forgiveness will be an attractive incentive for them. But, be ready to address obstacles when recruiting couples into the same practice or community, such as balancing office, call and family schedules; the variance of demand for each partner’s specialty; and the potential risk of losing both physicians if one decides to leave the community in the future. If trends hold true when the 2018 applicant survey is reported, there will be a clear difference in how they decide to apply to programs versus how they rank their top choices once they visit. In previous years “desired geographic location” was the top factor in deciding where to apply. But fit and the interview experience jumped ahead when they ranked their choice of programs. Last year, “overall goodness of fit” was cited by 88 percent and rated 4.8 (with 5.0 being extremely important); “interview day experience” was selected by 80 percent and rated 4.6 in importance. Location came in third, cited by 75 percent and rated 4.6 in importance. The data reinforces what experience has shown: location is an important – but uncontrollable – factor. Ultimate success in recruiting physicians depends more heavily on two extremely controllable factors: 1) assessing for fit and 2) delivering an excellent interview experience. The number of non-U.S. citizen International Medical Graduates (IMGs) who participated in the Match declined for the second consecutive year. To help address the physician shortage, in part, the U.S. relies on IMGs, who undergo rigorous screening by the Educational Commission for Foreign Medical Graduates as part of the J-1 visa process. Darrell G. Kirch, MD, President and CEO of the Association of American Medical Colleges, expressed concern that “uncertainty surrounding Deferred Action for Childhood Arrivals (DACA) and physician immigration introduced new challenges into this year’s residency application process, as evidenced by a 22.7% drop in applicants from countries named in the three immigration executive actions last year.” He urges support for a permanent legislative solution for Dreamers to ensure academic medicine’s ability to meet increasing healthcare needs, especially for the growing medically underserved and aging populations. Residency trends may change from year to year. But one thing is constant: the importance of forming a strategic physician recruitment plan. Healthcare facilities can make smart hiring choices and avoid the physician gap by creating a rewarding workplace and strong organizational culture, assessing carefully for fit and delivering an unparalleled interview experience. Working with an experienced search consultant can improve your competitive advantage by empowering you to accomplish those goals. Contact us to learn more. Click the Get Started button if you’re ready to speak with one of our physician recruitment experts.